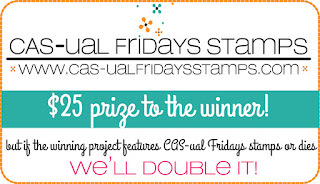 Please contact Michele at info@cas-ualfridaysstamps.com to claim your $25 prize. 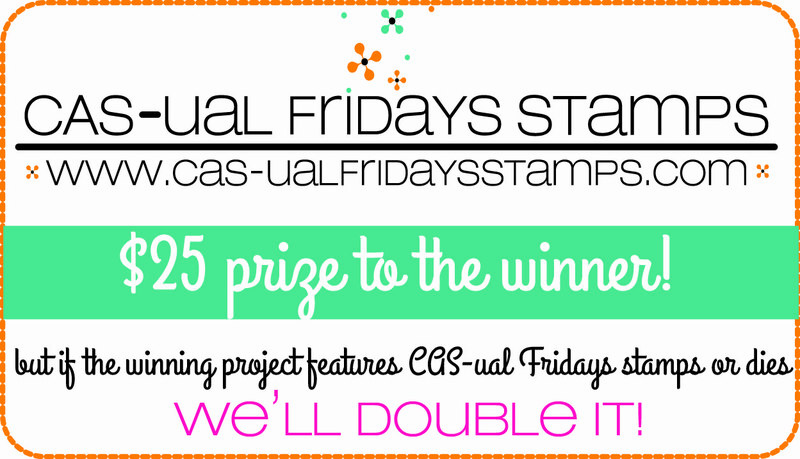 Thank you to everyone who played along!! Our next challenge starts Friday! Wow, happy dancing here, so didn't expect that! 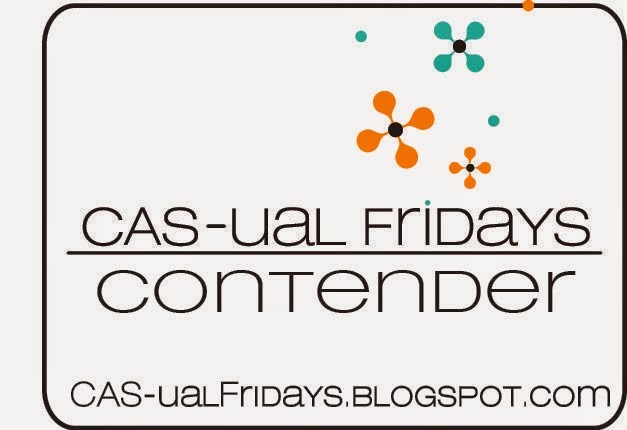 Super to see my card in the contenderslist! ongrats to all; what a lot beautiful blue cards in the galery! Thank you so much CFC team for the contender honours. Congrats to Julie (gorgeous card and well deserved) and the other picks. 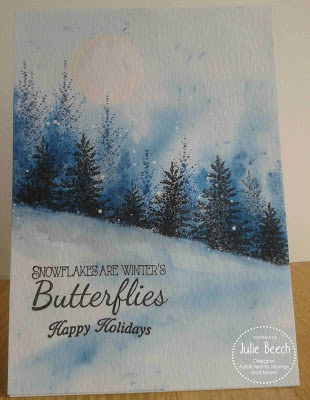 Congratulations to Julie; her card is stunning! Applauding all the others selected for special mention and how wonderful to see my JOY card in the mix! THANK YOU! 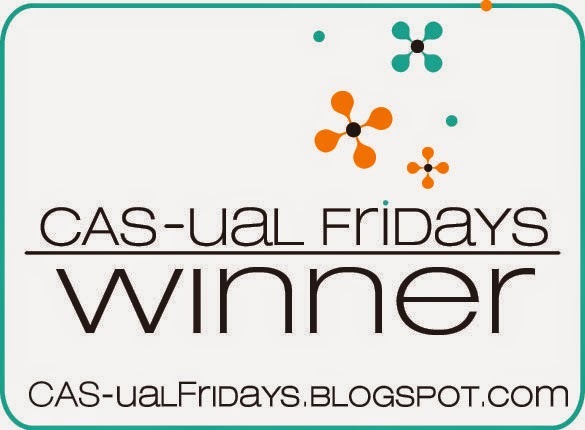 My blog will be wearing your badge with pride! 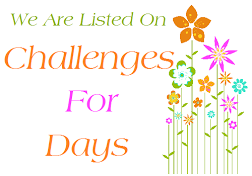 Thanks for the shout-out and for the great challenges!! !